In response to inequity in the rapidly changing economic and social fabric of the East Liberty community, KST developed the FUTUREMAKERS accelerator to stimulate the vital leadership role that artists and creatives can play in generating inclusive organic growth. 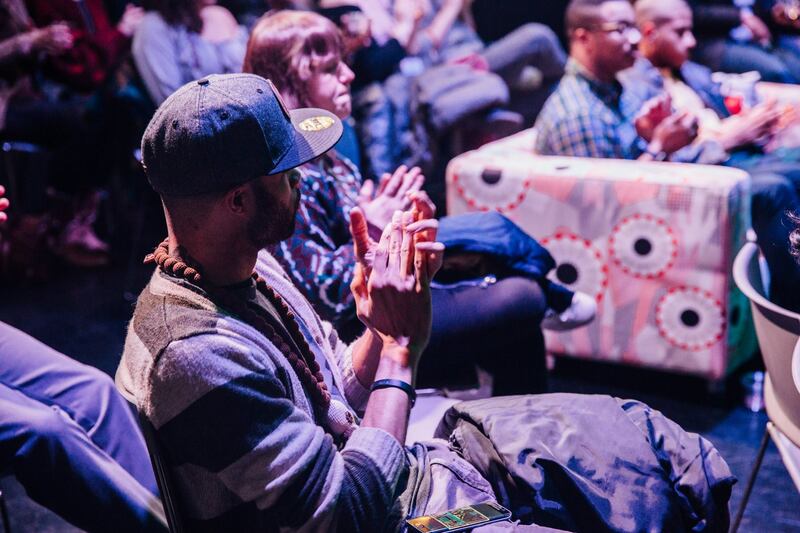 Investing in new talent and fostering the ideas of visionaries within our community, the project seeks to expand their role in the cultural and economic transformation of Pittsburgh’s East End. Now in its third iteration, FUTUREMAKERS is a creativity-focused accelerator designed to support emerging creatives and entrepreneurs working at the intersection of art, economic development, and social practice. FUTUREMAKERS takes inspiration from the technology sector and its capacity to invest in new talent and ideas. FUTURERMAKERS’ overarching goal is to support the professional development of distinctive Pittsburgh creative entrepreneurs and artists (broadly defined) who are committed to social practice. To support the professional development of creatives, the program engages a cohort of six to eight Fellows in a three-stage process, beginning with the six-week Accelerator, ending in individual Labs to test ideas, and including the FUTUREMAKERS Symposium, a platform for knowledge sharing and connecting Fellows, public community members, and local partners. To apply to the 2019 FUTUREMAKERS, describe the concept you’re interested in exploring. Application deadline has been extended through January 31, 2019 at 11:59 p.m.
FUTUREMAKERS is made possible with generous support from The Heinz Endowments, BNY Mellon Foundation of Southwestern Pennsylvania, Opportunity Fund, and Pennsylvania Council on the Arts: Preserving Diverse Cultures.